Any 5-year-old child can name the standard tools of the trade on a construction site—hammers, saws, drills, and the like. But now you can add the iPad to the list. 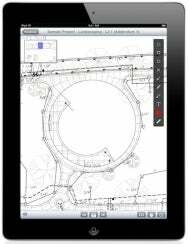 Thanks to a recently released app, builders and architects could replace reams of heavy, expensive paper blueprints with an Apple tablet. That’s why Young and her partners created the PlanGrid app. It lets users view blueprints, add notes and amendments to those plans, and share those changes via the cloud—all without spending extra money to reprint thick reams of paper. “It’s definitely the wave of the future,” said Danielle Douthet, an executive at Level 10 Construction in California. The iPad has transformed entire industries in just two years. Pilots use them to fly planes. Dealerships use them to sell cars. Budding doctors are carrying them into classrooms and hospitals. And more industries are ripe for an iPad revolution. Why? Because the iPad is quicker to update information, yet lighter and cheaper than a laptop. Construction is one such industry, and both builders and app developers have noticed. 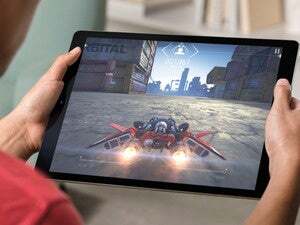 Companies like Massachusetts-based Vela Systems are already offering iPad-based construction management tools for the iPad. Now PlanGrid has jumped into the market, with a particular focus on builders in the San Francisco Bay Area. Alan Dillon, a senior superintendent at DPR Construction, says his company has tested the PlanGrid app on four projects in recent months, distributing iPads to supervisors and foremen to keep them apprised of the latest plan changes. A small project might need four iPads, he says, while larger efforts make use of dozens shared among DPR staff and its subcontractors. Forrester’s Schadler says more iPad-induced changes in business are coming, in three forms: He predicts the tablet will replace laptops, displace paper-based formats, and create opportunities in new places that weren’t available before. The iPad is important, Schadler says, “because it takes computers and pushes them out to where they weren’t economical or possible before”—including places like construction sites.